It is not uncommon that a caregiver will request a certain treatment or medication for the person they are caring for that may not be needed or necessary. The lay caregiver may think a simple cough or sniffle may need an antibiotic and will get upset if I disagree based on my evaluation. While doctors can be wrong and make mistakes, I find it intriguing how many untrained people feel they can make medical decisions without any proper medical training. So what does it take to allow a person the legal license to practice medicine, perform surgeries and prescribe medications? So Dr. Kadile, what do I need to do to become a medical doctor? We all know a lot of education is involved, so let’s start with a high school diploma. You will need good grades and be involved in extracurricular activities so that you get accepted into college. Once in college, you will also need good grades and show involvement in extracurricular activities. You will need to perform well on the Medical College Admission Test (MCAT) typically taken in the 3rd year of college. If you do well in college, get good grades, have good MCAT test scores and graduate with a Bachelor’s Degree you can apply to medical school which is highly competitive. If you are lucky enough to be accepted into medical school, the fun is just beginning. Medical school is 4 years of intense classroom work and clinical rotations. Before you graduate medical school you will have to take part 1 of the national licensing exam (USMLE or COMLEX). Each part of the national licensing exam is an 8-9 hour test, with Part I taken between the 2nd and 3rd year of medical school. The national licensing exam is a 3 part exam that needs to be passed in order to be eligible to be granted a medical license by a state. Part II of the exam is usually taken in the 4th year of medical school. If you finish medical school in 4 years and graduate with a doctor’s degree, you still are not allowed to practice medicine on your own. You still need at least 1 more year of additional training as an intern or resident. Additional training in a residency program is needed in order to specialize. 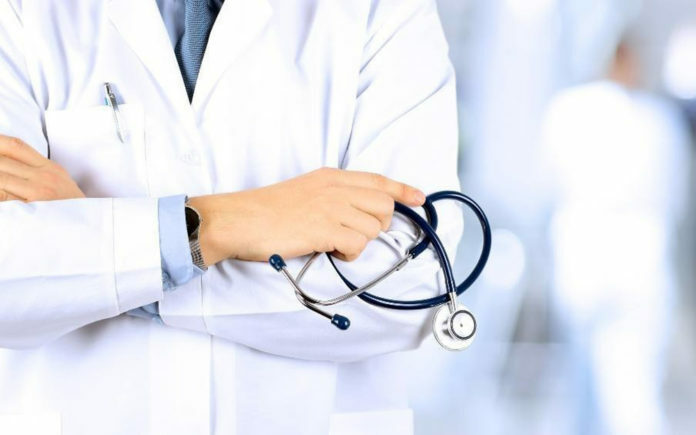 There are residency programs for Family Medicine, Internal Medicine, General Surgery, Psychiatry, etc… Residency programs can range from 3 – 10 years depending on the specialty. There is competition to get into residency programs so good grades and performance still needs to be maintained. After the first year of residency you then take Part III of the national licensing exam. If you’ve made it this far and you’ve passed all three parts of the national licensing exam, then you are eligible to apply to a state for a medical license. Each state has different requirements and depending on the state, additional written or oral exams may need to be passed. But wait the fun is not over yet. Most hospitals, medical groups or employers prefer a doctor to be Board Certified in their specialty, so a board certification exam needs to be passed and the exam may need to be repeated every 7-10 years depending on the specialty. Additional testing may need to be completed in order to be eligible to sit for the specialty exam renewal. Once you get your medical license, you will have to pay to renew every 1-3 years in addition to providing proof that you attended a certain amount of continuing education (CME) seminars to keep your medical knowledge updated. So if you want to go through all that to become a doctor, go for it!